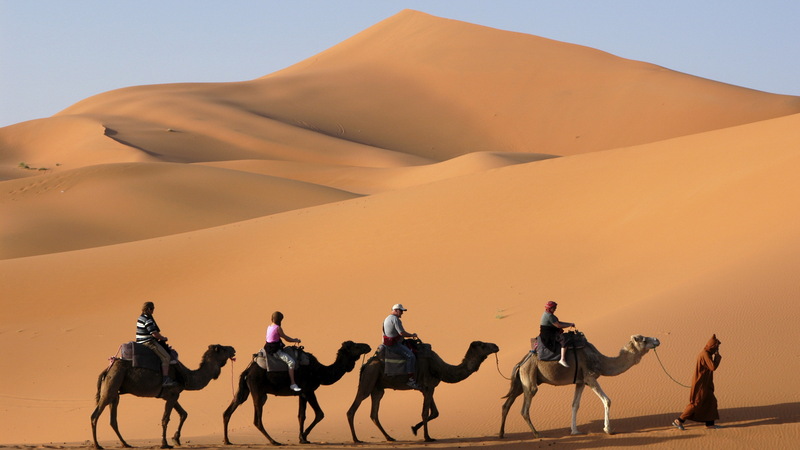 Our private tour continues and we ride camels back from Merzouga desert camp to Merzouga. After breakfast we drive towards Rissani, Erfoud and Errachidia. We will visit city of Midelt, famous for its mineral products and apples. We continue to Azrou, visit cedar forest, then we drive to Fes. That will be end of our services. This private Morocco tour can be modified depending on your requirements.